The City of Jeffersonville’s new Police Officer and four new Fire Fighters were sworn in by Mayor Mike Moore yesterday in a ceremony at City Hall. “We are very grateful for their willingness to serve and protect our city,” said Mayor Moore. 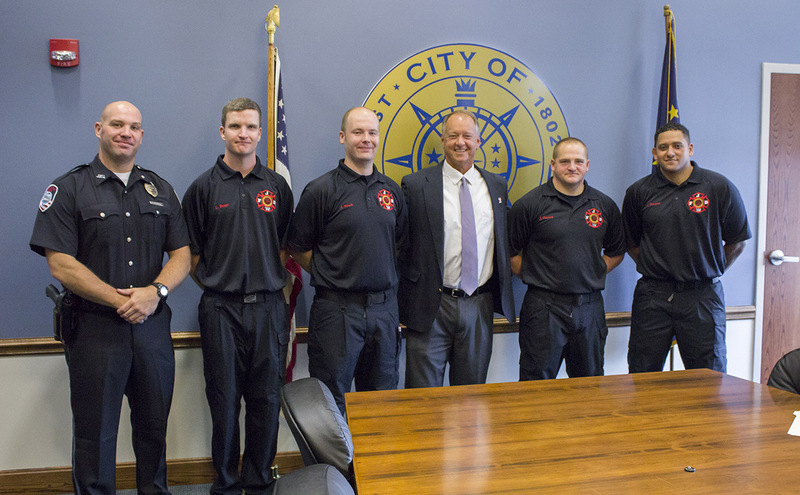 Pictured from left to right are: Police Officer Darin Broady, Fire Fighter Courtney Boggs, Fire Fighter Justin Rich, Mayor Mike Moore, Fire Fighter James Haven and Fire Fighter Salvador Quinones.